feature step‐down supports on the center blocks to provide tread-pattern rigidity in the contact patch, enhancing vehicle stability and handling while preventing stones from becoming trapped in the grooves. 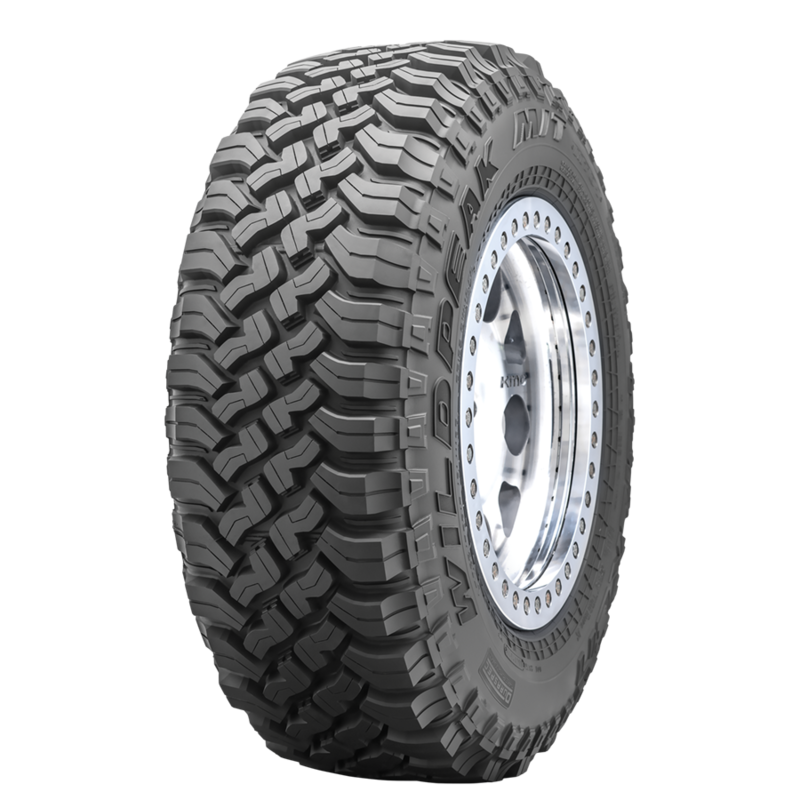 AGGRESSIVE UPPER SIDEWALL along with offset shoulder blocks protect the tire from sharp rocks and provide additional off‐road traction at low tire pressures or in off‐camber situations. OPTIMIZED TREAD PATTERN with three variable pitches positions the tread blocks to provide an exceptionally quiet ride. shed mud from the tread grooves to prevent loss of traction. These features ensure maximum grip while also preventing rocks from puncturing the base of the tread.